Duerr's interest in the tiles began in 1994, when he moved from rural Pennsylvania to Philadelphia and began noticing them while working as a foot courier in the city's business district. He documented dozens of tiles downtown, and was struck by how little attention the bizarre phenomenon received from other pedestrians. He was shocked when, several years later, he discovered an obscure website on the Internet documenting tile sightings in other cities like New York, Baltimore, St. Louis and Boston, which he would later visit; soon, tile sightings soon appeared as far away as Buenos Aires and Santiago. Despite this prolifacy, Duerr could find no answers as to what the texts meant or who was responsible for them, although marginal clues towards the artist's identity slowly began to mount. In 2000, his obsession was amplified by a near run-in with the tiler when Duerr found a freshly laid tile in front of a local convenience store late at night. Having missed the tiler by minutes, Duerr vowed to definitively solve the mystery of the Toynbee Tiles. 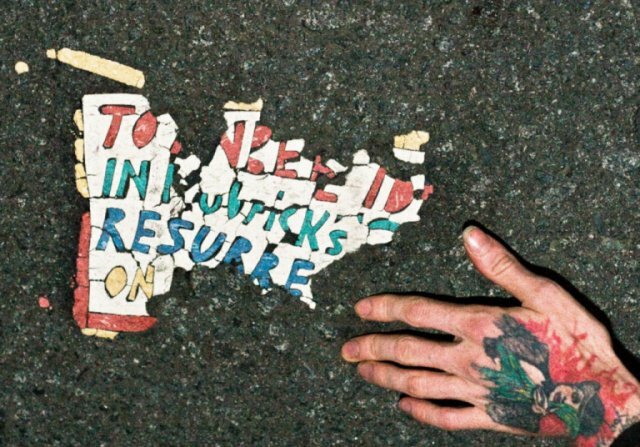 An artfully crafted documentary, Resurrect Dead: The Mystery of the Toynbee Tiles is both an account of Duerr's own obsession and a meditation on the broadly defined drive towards cathartic realization in the face of towering obscurity. The information age has seen few mysteries as impenetrable as that of the Toynbee Tiles, and the film champions the underdog accomplishments of these unlikely investigators. The documentary creates an atmosphere of magical realism as the unexpected pieces of this complex puzzle click into place.